A diet rich in clean foods can help reduce inflammation and its harmful effects on your body. Clean eating can put out the fire that’s making you sick. Soy can reduce the inflammation marker C-reactive protein, which is linked to cardiovascular disease. Incorporate clean sources of soy into your diet, such as tempeh or edamame.Try It: Eating clean has never been tastier or easier! 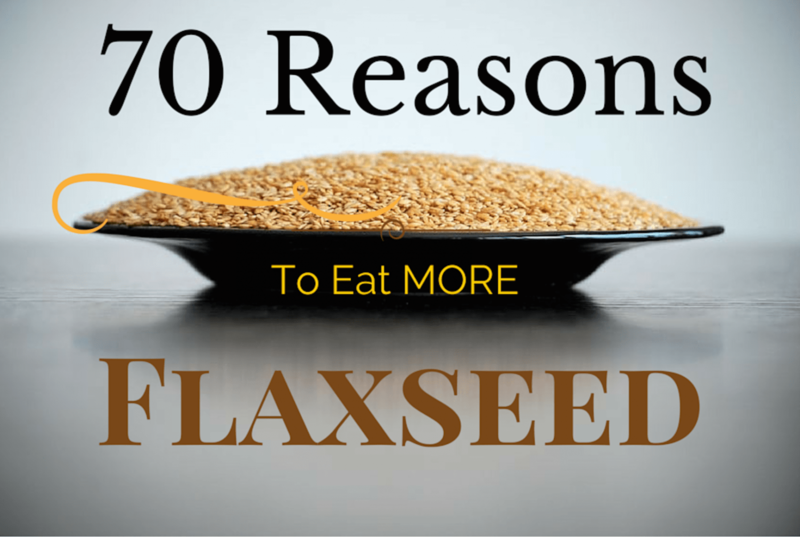 For just pennies a day Flaxseed may protect against dozens of life-threatening health conditions. 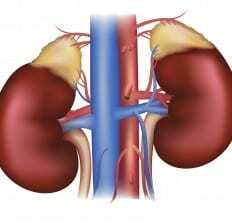 Adrenal fatigue is estimated to affect around 80 percent of people in the world. 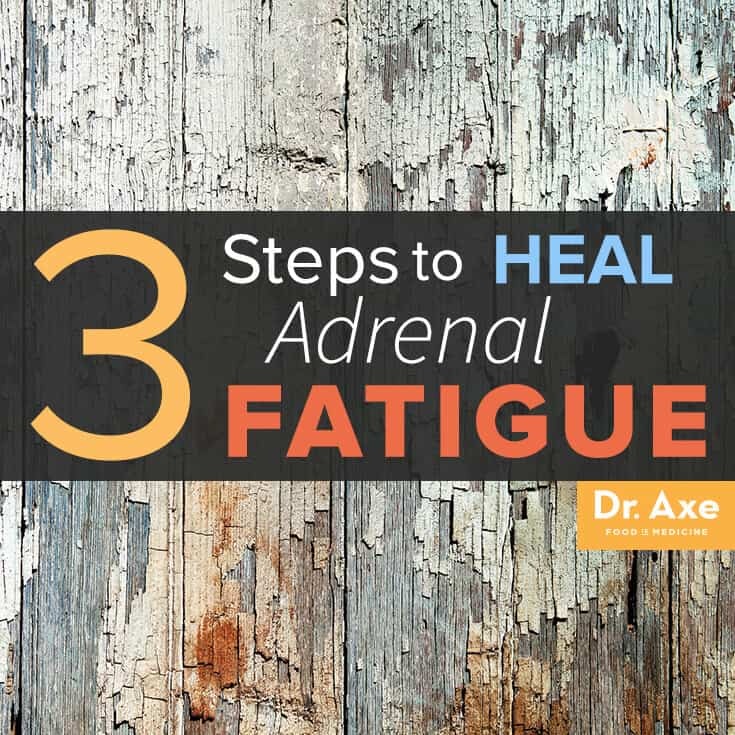 Here are 3 steps to help heal adrenal fatigue. It’s hard to believe, but adrenal fatigue is estimated to affect around 80 percent of people in the world! According to James Wilson (author of “Adrenal Fatigue: The 21st Century Stress Syndrome“), chronic stress and lifestyle affect the body’s ability to recuperate from physical, mental or emotional stress. And if you have adrenal fatigue, it can also be a major cause of excess fat storage and low energy levels. So, let’s talk about exactly what your adrenal glands do and how you can heal adrenal fatigue in three simple steps. 7 Herbs and Spices Everyone Needs To Eat. Spices are important for both health reasons and great flavor. Turmeric is the king of all spices. 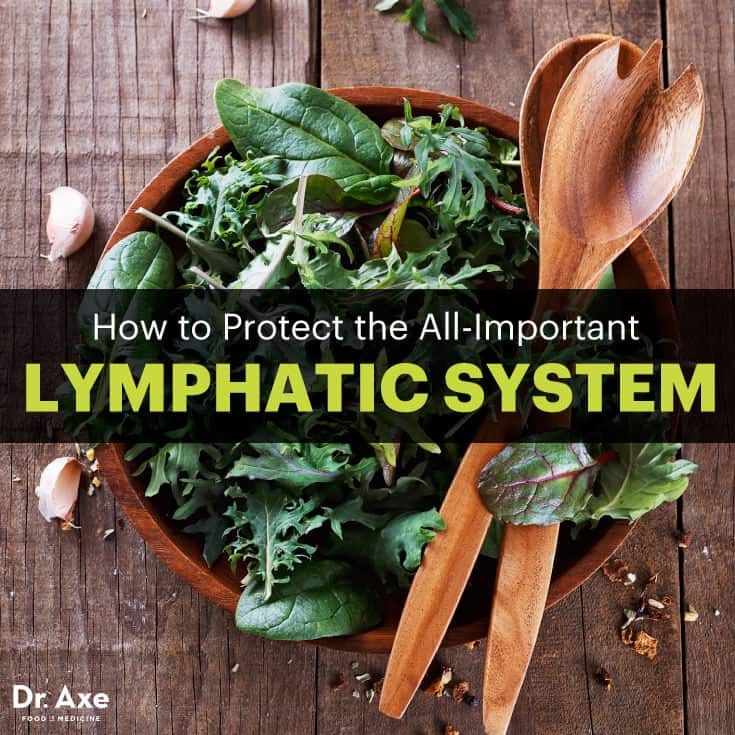 Ounce for ounce, it’s the most anti-inflammatory, antiviral, antibacterial, anticancer, antifungal one of the bunch, so you should eat it as much as possible when you’re becoming Bulletproof. In Ayurveda and Traditional Chinese Medicine, it’s used to treat everything from diabetes and allergies to Alzheimer’s and arthritis. Turmeric’s active ingredient is curcumin, an antioxidant compound that reduces inflammation and also gives it its vibrant yellow color. (Beware getting turmeric on anything white; it stains.) 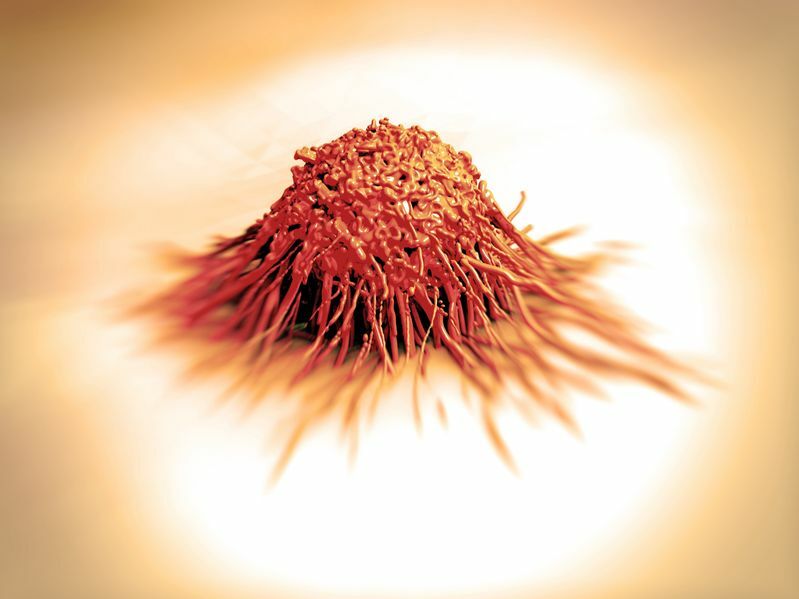 Curcumin has actually been shown to reduce growth in cancer cells, and if there’s any good reason to eat a spice, I’d say that’s it. Turmeric also contains other anti-inflammatory compounds that inhibit swelling and pain and block the plaques that cause Alzheimer’s disease. So the takeaway is? Eat more turmeric. Add it to salad dressings, meat and fish marinades, or even turmeric infused tea, latte, or lemonade. It’s surprisingly tasty. Cayenne’s active ingredient is capsaicin, which delivers both a chile pepper’s medicinal qualities and its spicy heat. The hotter a pepper, the more capsaicin it has. In addition to a long history of medicinal uses in India and China, Native American healers favored cayenne for digestive and circulatory problems. For all its good benefits though, there are some negative aspects of capsaicin. Like black pepper, cayenne is highly likely to have high amounts of mold toxins, so proper sourcing and storage is really key. (NaturalHealth365) Whether you suffer from seasonal allergies or are susceptible to common year-round allergy triggers, such as certain foods or dust, allergy symptoms can impact your everyday life. Allergens release histamines that attack your body’s cells, causing the familiar symptoms of runny nose, sneezing and watery eyes. While there are dozens of over-the-counter antihistamines to choose from, their negative effects can far outweigh the benefits. Rather than risk the problems associated with these drugs, you can choose from several effective, natural antihistamines that can put a halt to your symptoms without putting your health at risk. When your body is exposed to allergens, it reacts by releasing histamines that attack cells in the body, causing them to swell up and leak fluid. This results in the common allergy symptoms of watery eyes, congestion, swelling of the nasal passages, itching, sneezing and runny nose. The most common over-the-counter antihistamine medications, known as first-generation antihistamines, work by blocking histamines. 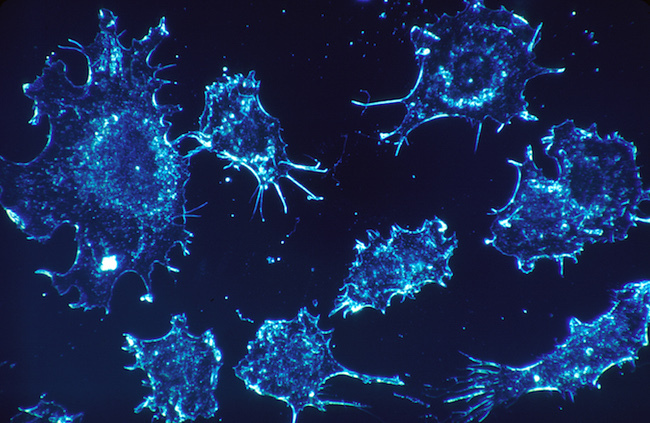 However, they also cross the blood-brain barrier, interacting with a number of unintended receptor sites. The result is a sedating effect. While dangerous in itself, particularly for driving or operating machinery, this sedation also induces an unnatural sleep, interfering with the body’s recovering time, when the brain normally stores memories and retains learning. The sleepy feeling brought on by these antihistamines can lead to impaired psychomotor performance, cognitive functions and memory problems. There are many reasons why learning about essential oils is useful for preppers. Not the least of those reasons is to lessen the reliance on expensive and often ineffective and toxic pharmaceuticals. How often have you filled an expensive prescription only to have side effects or find that the drug simply did not work? Other than add these meds to your SHTF barter kit, you are out of luck. On the other hand, most essential oils are quite inexpensive and have the added bonus that a prescription is not required. With essential oils you have the freedom of where to shop, how much to pay, and how to use them. You can dilute essential oils in a carrier oil or salve, use them in a compress, or diffuse them, or use them in a myriad of other ways suitable to your situation. With that in mind, today I want to answer one of the most frequently asked questions I get regarding essential oils: what are the best essential oils to set aside for my survival kit? In other words, what are the specific “set it and forget it” oils that are on par with emergency food and water storage? There are many factors that have gone into my choices, including an oil’s versatility and its ability to resolve multiple woes. I have also taken into consideration price and shelf life. 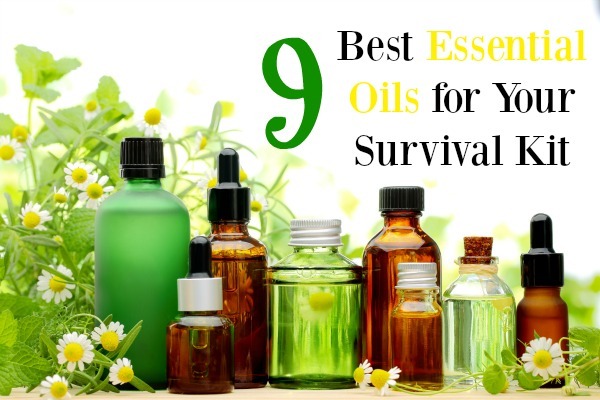 More about that in bit; but first, here is my own list of the nine best essential oils for the long-term survival kit along with my top 4 uses for each of them.